I’ve been contemplating food storage lately; canning and freezing are great ways to preserve produce from summertime for winter, but they aren’t very easy to store. I garden quite a bit in the summer, and then store up garden food for the rest of the year. Last year I filled a few shelves with canned jars (glass isn’t the most convenient to store or move), and completely packed my freezer. Last year I canned: Chili, Green Beans, Applesauce, Raspberry Jam, Blueberry Jam, Blackberry Jam, Strawberry Jam, and Pasta Sauce. In addition, I froze: Sweet Corn, meats, breads, and some Green Peppers. We went through the Corn, Green Beans and Pasta Sauce lightening fast (note to self: prep double the amounts for next year!) 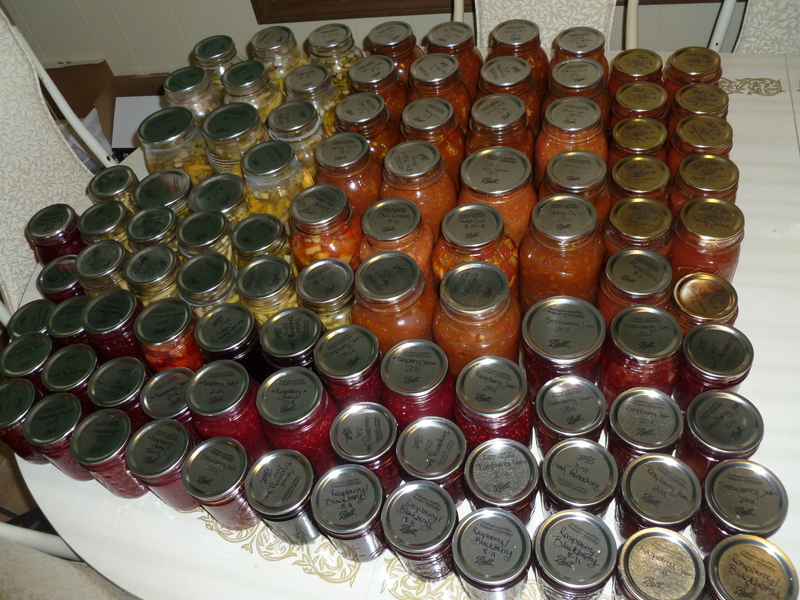 and I still have plenty of Jams and Chili left over. That tells me about what I will need to do differently this summer in preparation for next year. The Jams made great Christmas gifts last year, especially as a “hostess” gift for the places we went. But this year I’m adding a new dimention: Dehydration.